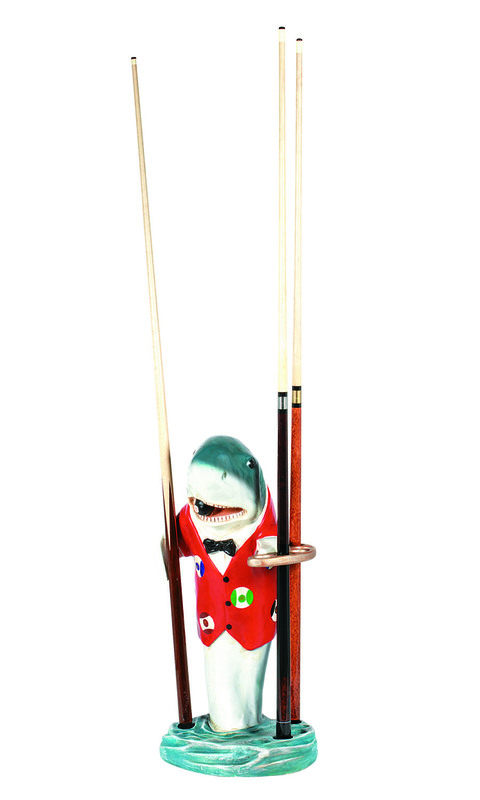 The Red Shark Pool Cue Holder is a fin-tastic addition to the game room! It features an upright shark in a red dealer's jacket chewing on an 8 Ball. This piece is for people with a sense of humor and who want to liven up their game room. It is sure to make a splash with all your friends. It is capable of holding up to four pool cues.